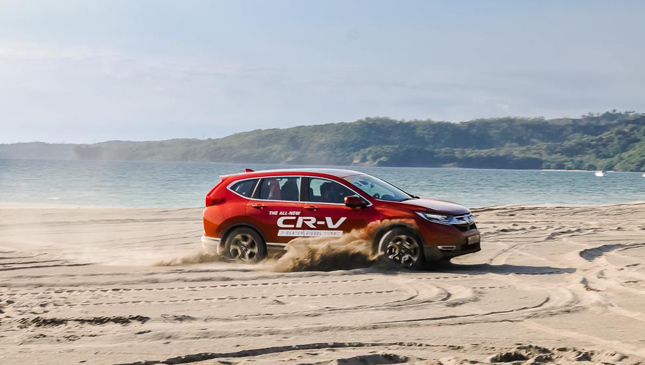 The all-new CR-V represents Honda's desire to provide the Philippine market with an alternative to hulking, truck-based diesel SUVs. 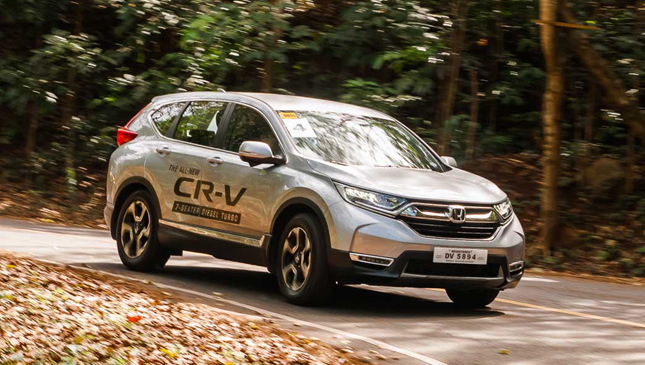 We were invited by Honda Cars Philippines to get to know the new car via a two-day ride and drive up North to immerse ourselves in all manner of driving opportunities. 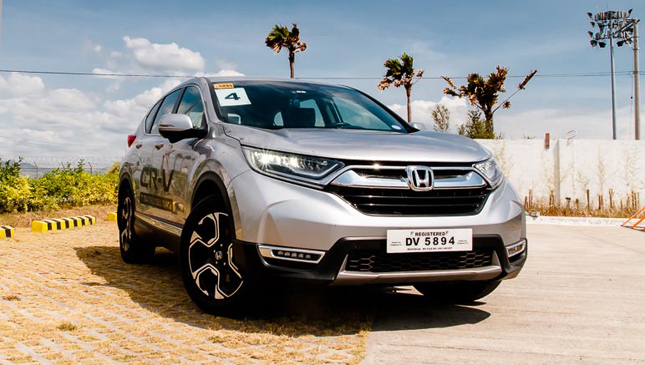 From cramped EDSA to scenic mountain roads, and then to a purpose-built off-road track, the top-of-the-line SX AWD Diesel variant we drove performed exceptionally. 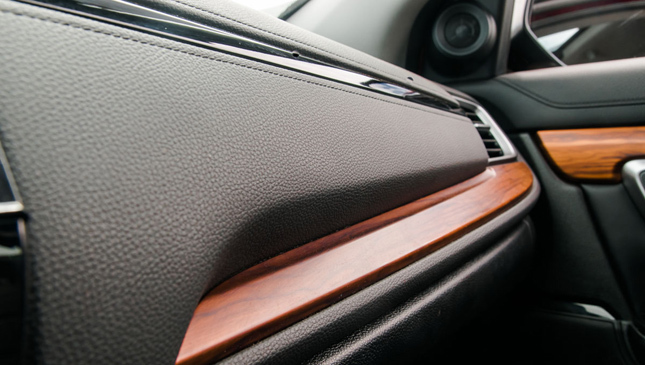 The moment you sit inside the CR-V, you'll instantly feel at home with its car-like ergonomics. 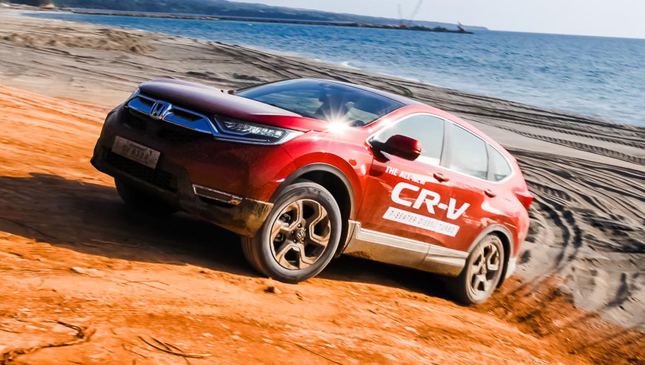 The formula for unibody SUVs has always been to provide a driving experience as close as possible to a car, and the new CR-V provides exactly that. It's a car, albeit a spacious, lifted one. The interior is actually quite the subtle looker, with black soft touch materials mixing in with black leather seats and matte wood accents. 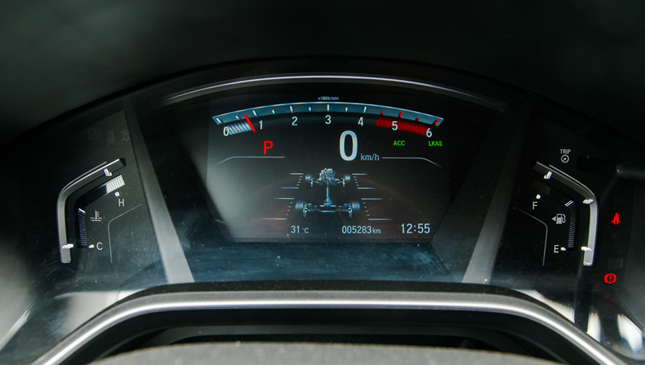 A handsome steering wheel perfectly frames the multi-information digital gauge cluster. It is a joy to hold and operate, despite the fact that the wheel switches look and feel like they belong to a mid-2000s Samsung mobile phone. But that's a minor thing, really. There are door pockets big enough to hold three 500ml bottles and numerous cubbyholes for everybody to just stash their stuff in, including my DSLR with a 5-inch lens. 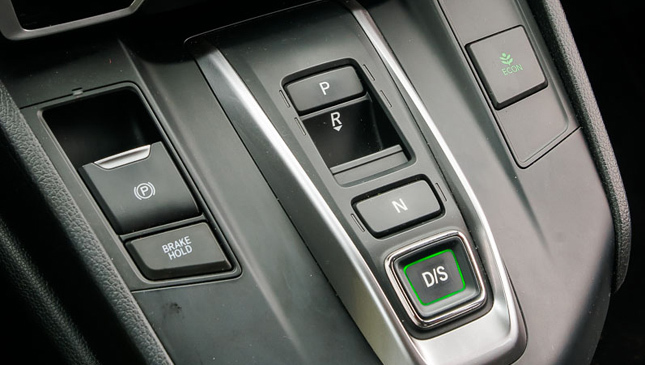 After firing up the CR-V, the first thing you'll be looking for is the shifter, only to realize it's not there. There's momentary disorientation, but it really is just the simplicity of pushing buttons. There's one each for park, neutral and drive/sport and a toggle for reverse. 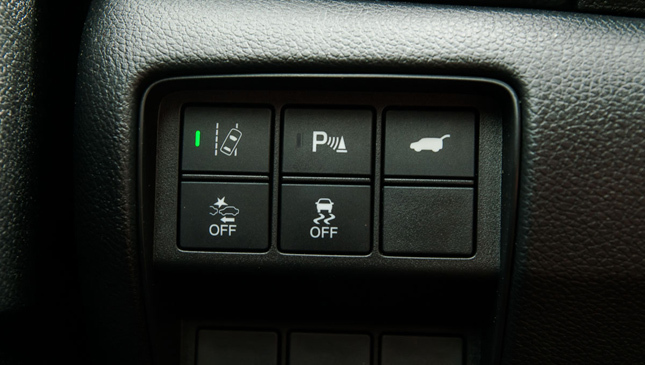 To the left of those is the electronic parking brake lever and to the right is the Eco button. 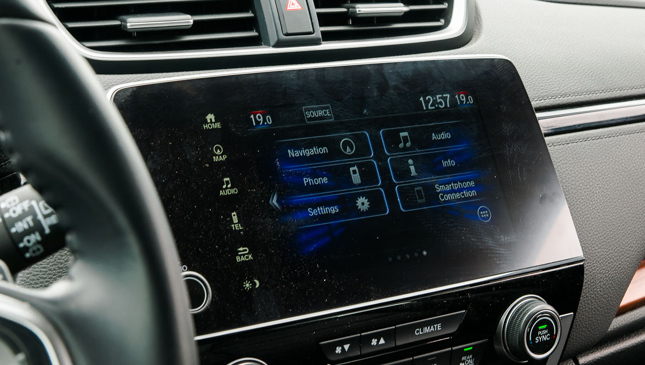 The car asks you to trust the system; that the 9-speed automatic transmission is more than capable of responding to your foot's wishes, and the paddle shifters are ready to engage in both drive and sport modes should you wish to take control. By the first few kilometers, I'd already forgotten the missing stick, and was operating the buttons like a champ. 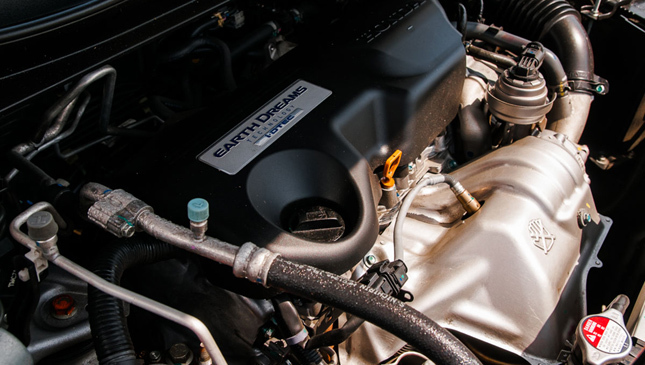 The Earth Dreams 1.6 liter DOHC I-DTEC engine is surprisingly lively and works beautifully with all nine gears to get you up to speed. And as humble as 118hp may sound, there is also 300Nm of torque available as early as 2,000rpm should you need to hasten your progress, all while giving you two-digit consumption figures. While trying to keep up with the media convoy, it made darting in and out of EDSA traffic a breeze. On the highway, the car moved like it had a bigger engine, although one can tell by the engine note that it's a small displacement one. Kudos to the engineers though, for making it sound more like a gasoline lump than an oil-burner. On the twisties of Morong, Bataan, I decided to engage Sport mode and take control via the paddles. 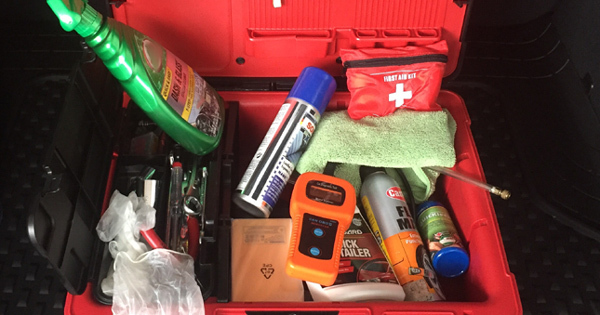 This setup allowed for finer engine braking control and I found it more favorable than letting the automatic think for itself. This let me better set up the CR-V for consecutive curves, helping me balance the car better and minimizing whatever body roll is present. The purpose-built off-road track also highlighted other features of the car. 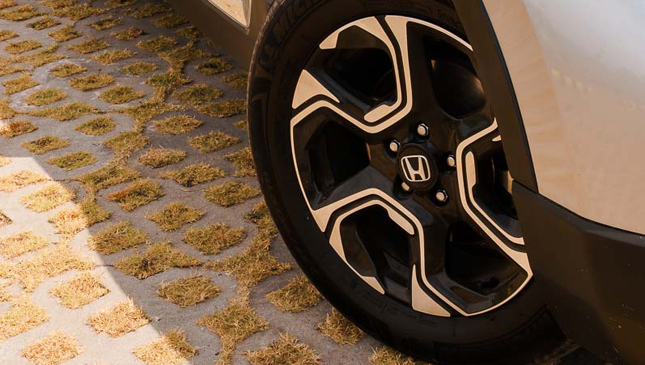 The real-time torque distribution indicator clearly showed how the wheels were adapting to different surfaces like mud and sand to keep traction on point. A sizeable soil mound was built to demo entry and exit angles, as well as diagonal driving capabilities, showing off the 200mm of ground clearance available. 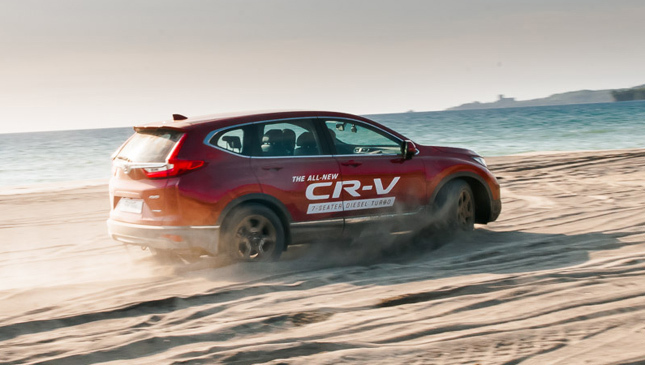 A sand course, meanwhile, helped us better appreciate the traction control and the torque transfer during slippery uphill climbs. 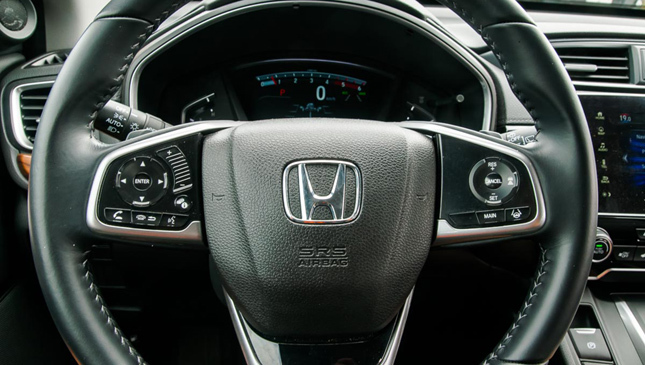 We were also able to appreciate some of the numerous Honda Sensing safety features of the car, including Adaptive Cruise Control, Low Speed Follow, Lane Keeping Assistance System, and other acronyms meant for keeping you on the road and alert. As an experiment, I slotted myself into the third row on the Subic to NLEX leg of our trip home. I wouldn't completely recommend it for adults, But...it's a decent spot. 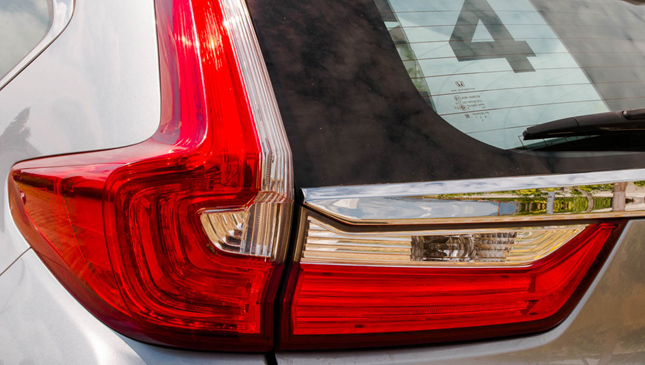 With the second row's ability to slide forward, there's more space in the back than you might think. For two kids, it'd be perfect. 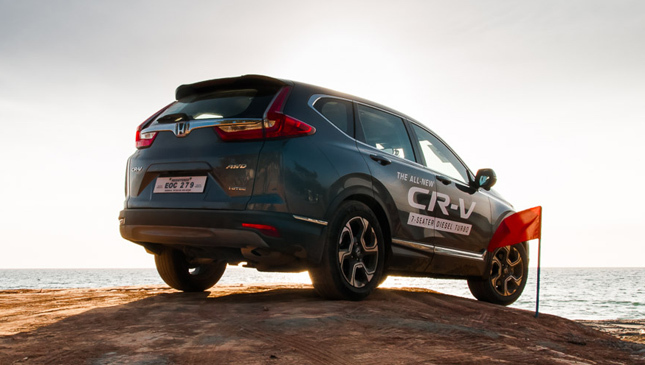 The new CR-V boasts a cleaner, angular look compared to its predecessors, with shoulders that give the vehicle a muscular presence. The increase in size also helps bump up the interior space to give room for a third row, making it a proper seven-seater. Gone is the awkward-looking rear quarter window, replaced by a well-proportioned and angled one that squares up nicely with the D-pillar. 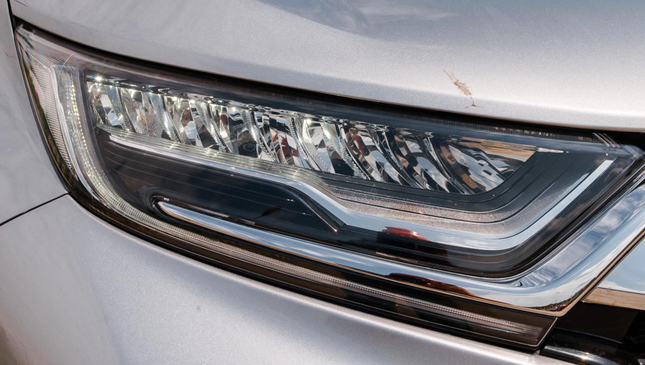 Angular LED headlamps and a chrome grille give it a sharp front, while the newly designed taillamps show off more angles and width, continuing the model's historical upright placement. 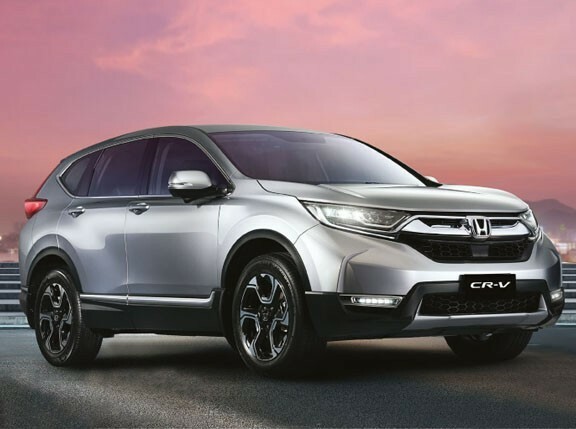 With its smart, small displacement turbodiesel, capable AWD system and spacious interior with seating for seven, the all-new CR-V should definitely be a consideration for those looking to have a more refined SUV experience.